Tapered roller bearings consist of four interdependent components: the cone, or inner ring; the cup, or outer ring; the tapered rollers, or rolling elements; and the cage, or roller retainer. The taper angles allow the bearing to handle a combination of radial and thrust loads. The steeper the cup angle, the greater the ability of the tapered roller bearing to handle thrust loads. SEMRI provides a variety of secure and cost-efficient packaging solutions to insure the essential protection and preservation for bearings. Plastic Tube: For Miniature and Instrument bearings, 10 bearings or more are normally packaged in clear plastic tubes, then into box and finally placed in individual cartons. Roll Pack: For medium-sized types, 6-10 bearings are normally packaged in anti-rust paper rolls, then placed in individual cartons. Individual Box: Each bearing is placed in an individual plastic bag or plastic-faced brown paper and then placed in individual boxes. Each box can be labeled with detailed information per customer's request. Bulk Pack: Each bearing is hermetically sealed in a plastic bag, then placed neatly in an individual carton. 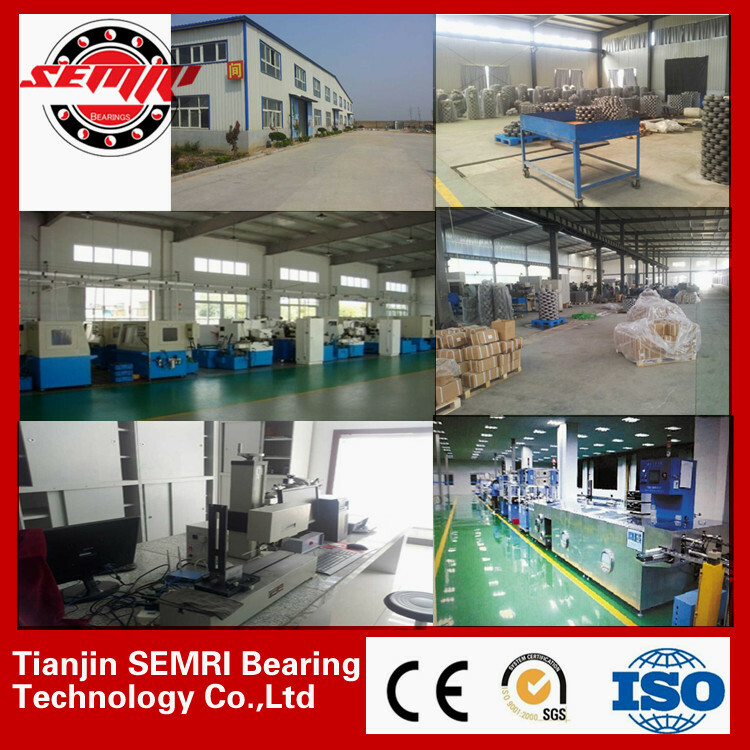 SEMRI Bearing Co., Ltd. Is one of the most famous export-oriented manufacturers and distributors specialized in bearings in China. SEMRI has become one of the leading companies after years' accumulation of technology and talents. The bearings SEMRI manufactures cover almost all the universal models in the international market, to supply qualified products for global manufacturing enterprises and dealers. The main products are Deep Groove Ball Bearing, Self-Aligning Ball Bearing, Cylindrical Roller Bearing, self-aligning roller bearing, Needle Bearing, Angular Contact Ball Bearing, inch tapered roller bearings, Thrust Ball Bearing, Thrust Roller Bearing, pillow block Ball Bearing , Joint Bearing , etc. The products are widely used in numerically-controlled machine tool, vessel, automobile, wind electricity, metallurgy, electric motor, machinery, etc. The close cooperative partner is the chief bearing supplier for China Aviation and Aerospace. Therefore,SEMRI can obtain strong technological power and support. The brand, SEMRI, owned by SEMRI Bearing Company itself, gains recognition from more and more manufacturing enterprises and dealers in the globe, with the strength of high cost performance. Meanwhile, SEMRI Company is a qualified dealer for several international brands, owing an ample supply and smooth supply channel. The international brands are NSK, SKF, NTN, TIKEN, EKM, ASAHI, NACHI, MEC, KOYO, EZO, UBC, GMN, FYH, VISTA, etc. The workshop is equipped with advanced automatic production line and thorough quality detection system. The heat treatment adopts advanced technology of salt bath martensitic hardening. The range of sizes can be from 10mm (inside diameter) to 1000mm (outside diameter). The annual output can be over 5000, 000 sets. Customized heterotype bearings and OEM are also available. 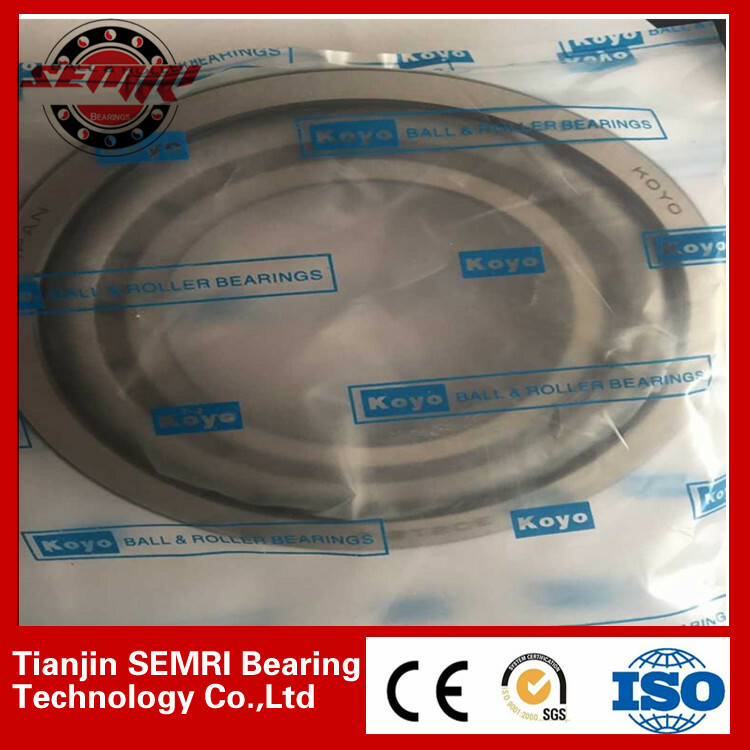 SEMRI began to deal with bearings since 1992. Now SEMRI has become a regional leader in China, with the annual turnover over $40, 000, 000. SEMRI is an export expert. Our shipping specialists are highly skilled in expediting shipments and ensuring that products are delivered smoothly. SEMRI can provide high-quality products and continuous delivery service. Contact us if you need more details on Tapered Roller Bearing. We are ready to answer your questions on packaging, logistics, certification or any other aspects about Roller Bearing、Koyo Bearing. If these products fail to match your need, please contact us and we would like to provide relevant information.